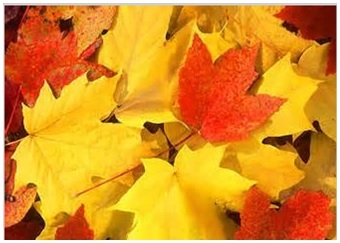 In this article you will get to know that why do leaves change color in fall. Q. Why do leaves change color in fall? Ans. Trees make their food through a process called Photosynthesis taking place in the leaves which requires sunlight. In fall, there is less daylight than in the spring or summer. This makes it hard to the leaves to prepare their own food so the trees will cut off all supply to their leaves and live off the food they have stored up in the spring and summer. Leaves naturally have a yellow or orange color in them. However the green chlorophyll, made during photosynthesis, covers up all of the other colors. Since the trees have cut off the leaves, the chlorophyll will stop being made and the natural colors will shine through. Previous Article Why do we perspire on a hot day? Next Article Why do we start crying when emotional?